Discover paradise within the Quirimbas National Park. Set on a picturesque setting with 12 km of unspoilt powder white beach, Guludo Beach Lodge is the ultimate barefoot luxury accommodation in the Quirimbas archipelago. The ideal playground for eco-travelers, Guludo Beach Lodge is committed to conservation and is involved in ongoing community projects. Built from local materials, the lodge strives to impact as little on the environment as possible, ensuring that it provides the best restful place for weary travelers in a pristine environment. Trip advisor hotel reviews and guest feedback on Guludo Beach Lodge has been positive, with mention of how wonderful the staff and the overall experience was. The candid photos of this striking lodge will conjure images of you reveling in nature, throwing all caution to the wind and spending your days soaking up the sun. 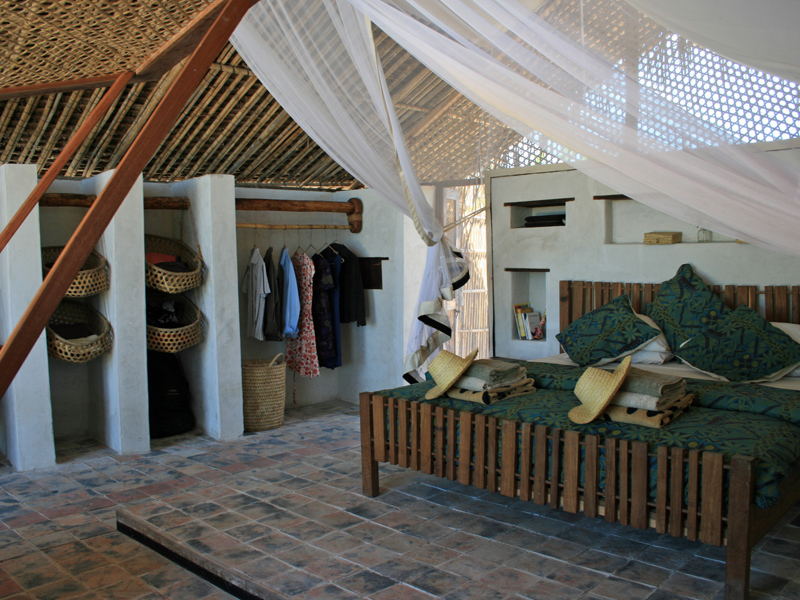 There are 9 rustic bandas with stylish interiors at this Mozambique accommodation. The bandas are tactfully set apart for optimum privacy and feature verandas with comfy sun loungers and hammocks. There are 2 adjoining bandas which are ideal for families as well as a Honeymoon Suite. There is no electricity and lighting is provided by solar and paraffin lanterns which give the resort a romantic ambience at night. The highlight of the lodge are the ‘loos with a view’, which are very popular with guests. 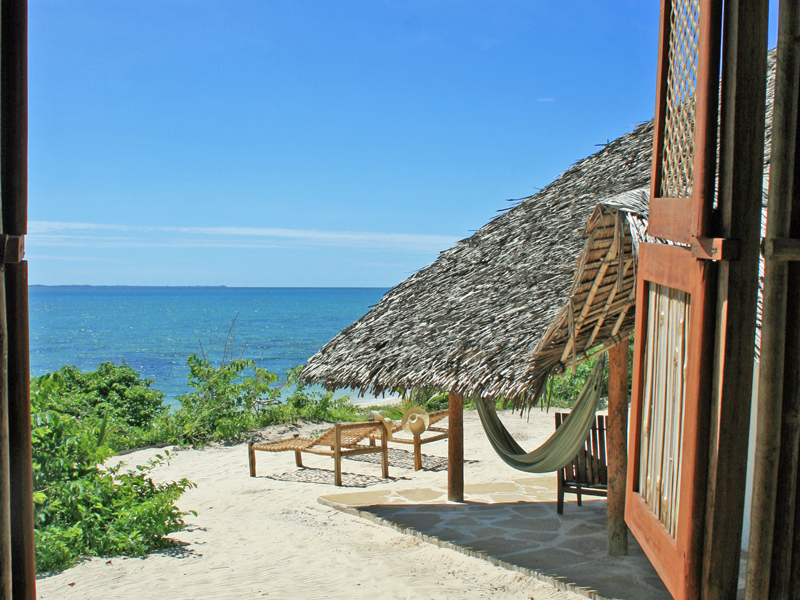 We like this top Mozambique beach property for its stunning off the beaten track location. There are coral reefs nearby which affords phenomenal snorkeling and scuba diving opportunities. We also like the friendly and attentive staff as well as the unobtrusive service. 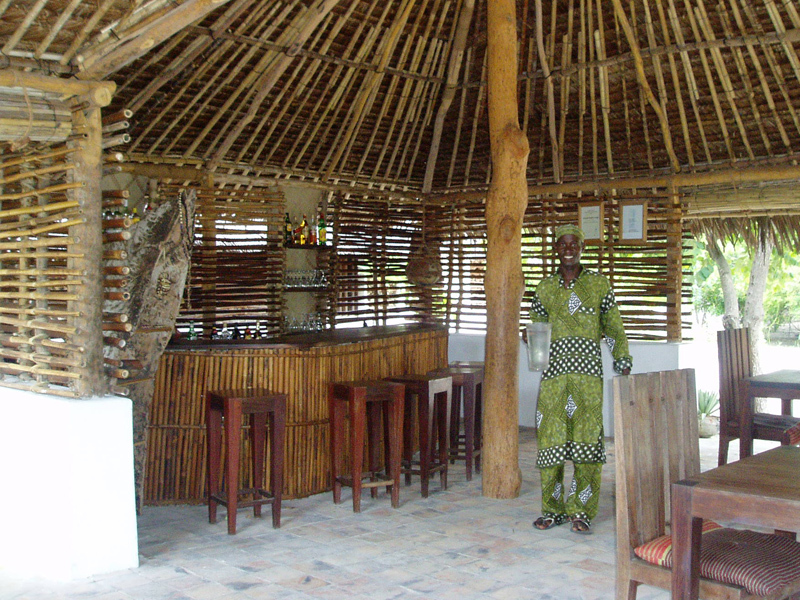 “My husband and I stayed at Guludo on our honeymoon a couple of weeks ago. The ethos of this lodge struck a chord with us and found it lived up to and surpassed our expectations. Although you won’t get 5-star luxury, you will certainly get 5-star experience. The staff were very helpful and went out of their way to make our experience fantastic and managed to fit in the activities we were interested in.” one happy guest from Bromley, United Kingdom wrote. bas as your base from which to explore the remote islands off the Pemba coast. Contact us to find out more about Guludo Beach Lodge.